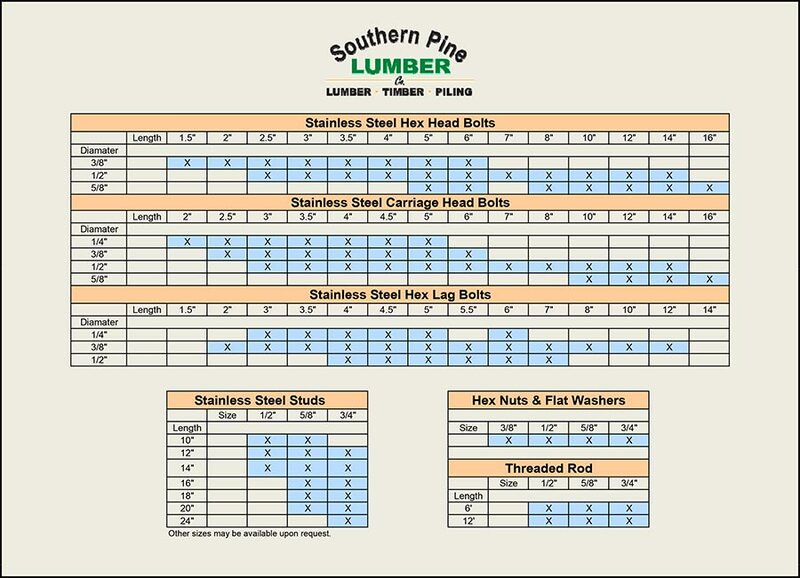 At Southern Pine Lumber Company we have a large selection of Stainless Steel Hardware available in both type .304 and type .316. 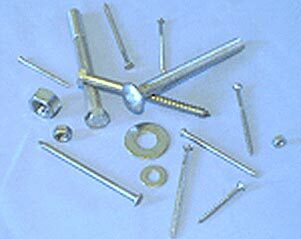 Many items are in stock in various diameters and lengths. Please use the chart below as a reference for those items. If you do not see an item you are looking for please call us, special sizes and lengths are available on a custom order basis. Visit our FAQ’s page for more helpful information on stainless steel.